Ibbenbüren is an ideal destination for hikers and cyclists. Located on the border of the friendly, flat region Münsterland and the wooded hills of the Teutoburg Wald, Ibbenbüren is a landscape to enjoy. We would be delighted to welcome you to our city! Experience wonderful days in nature; discover the Schafberg plateau full of mineral resources, take a leisurely bike ride on old country lanes - the famous Pättkes - or experience a mountain hike, where you will be rewarded with fantastic views. The Hermannshöhen are among the 16 Top Trails in Germany - and you do not just end up on that list without a reason. 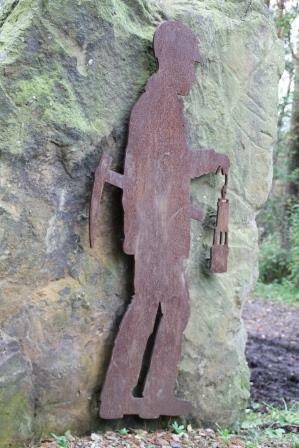 Walking over the slopes of the beautiful forest Teutoburg Wald is therefore a very pleasant experience. 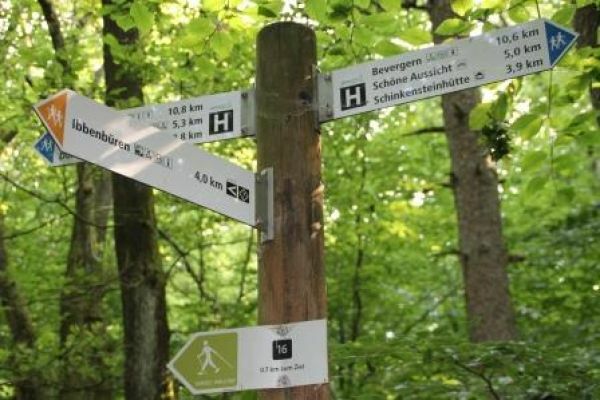 Our tip: walk the route "stage 2" from Hörstel via Ibbenbüren to Tecklenburg (approx. 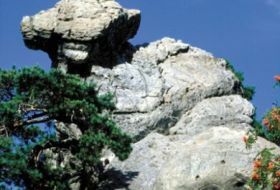 20 km) and take time to look around the bizarre natural monument Dörenther Klippen. You should not miss this mystical rock formation (with the famous Hockendes Weib). For food and drinks you can make a break at the Almhütte, it's famous for the flair of a real alpine hut and a magnificent view of the entire Münsterland! 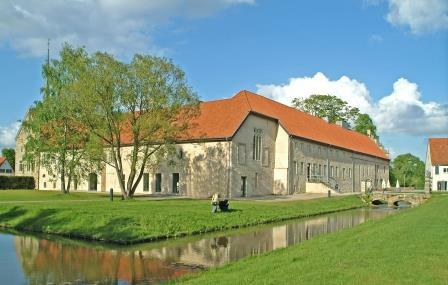 The Teutoschleifen are the most beautiful paths and idyllic roads of the region - through grassland and forest. 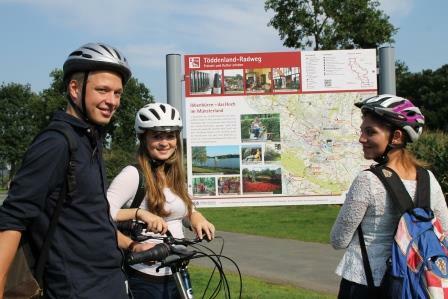 Around Ibbenbüren you will find 2 of these Teutoschleifen routes. 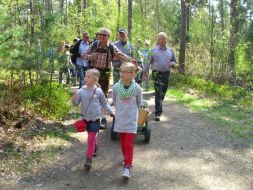 On this 10 km long circular walk you discover the nature monument Dörenther Klippen with the legendary stone formation Hockendes Weib. 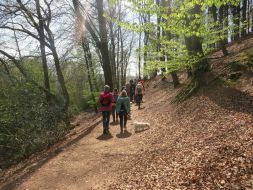 Wonderful walk with amazing views and a possibility for a pleasant break for food and drinks in the rustic Ibbenbürener Almhütte. This varied walk of 9 km to the nature reserve Heiliges Meer is a must for nature lovers. 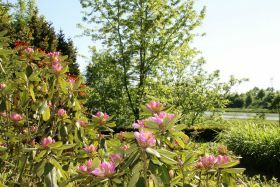 Great opportunity to spot rare plants and animals! 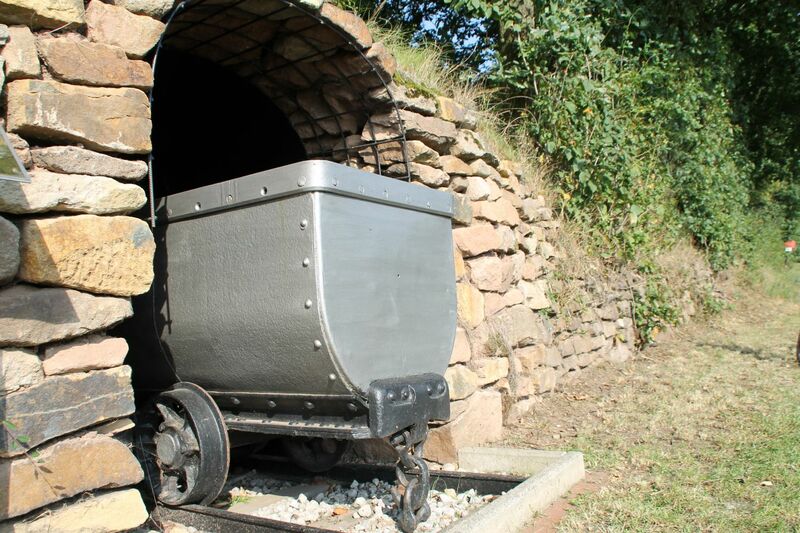 The more than 500 years old coal mine of Ibbenbüren with a depth of 1500 m was one of the deepest in Europe. In addition to a mining museum, there are also 4 different walking routes that are dedicated to mining and the enormous amount of mineral resources in this area, especially on the Schafberg plateau. 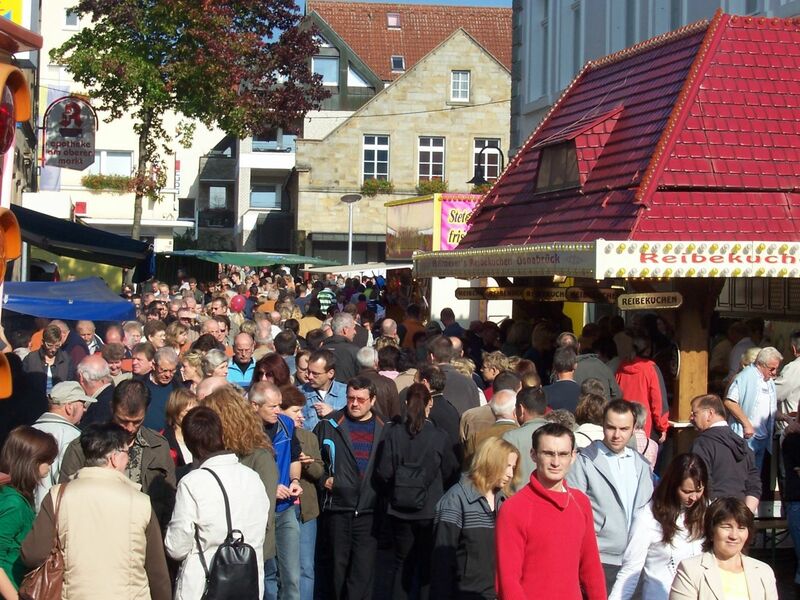 In the 17th century many merchants walked through our region, called Tödden. With bales of fabric on their backs they went to the Netherlands to make business. 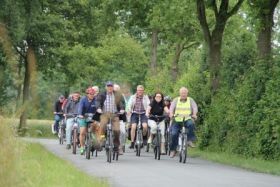 The cycle route (about 120 km) follows their track from Ibbenbüren through the northern Münsterland and the southern Emsland region. On the way you cross various breathtaking landscapes. These five bike rides in and around Ibbenbüren leave no wish unfulfilled. From an easy trip for the holiday to a challenging trip full of slopes for the ambitious mountain biker. 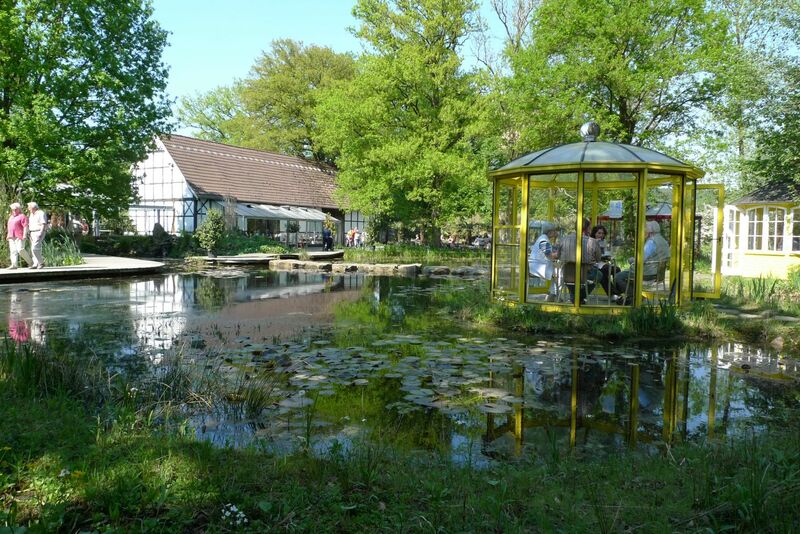 This 30 km long (half) day trip will take you past interesting sights and attractions: the summer toboggan run, the NaturaGart Park, the Dörenther Klippen rock formation and the Gravenhorst monastery. The route runs partially along the Dortmund-Ems canal. 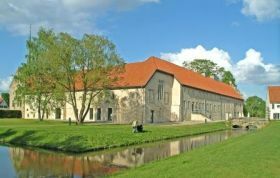 Ibbenbüren lies on the northern route of the popular 100 Schlösser-Route, the undisputed queen of cycling routes around castles in the region of Münsterland. An impressive and mysterious piece of earth. 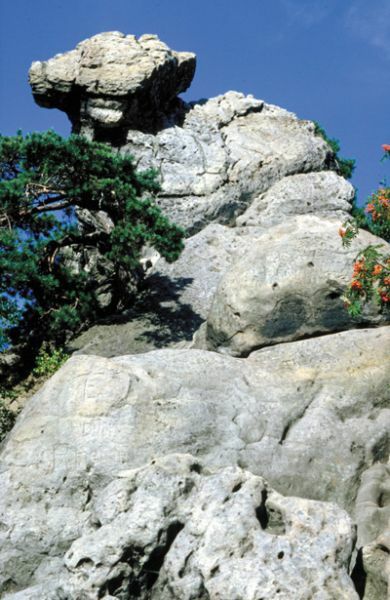 The stone formation resembles the shape of a squatting woman. There is a myth about an heroic woman who froze to stone saving her children. The view from the sandstone rocks is breathtaking. The old mining mountain, created by the extraction of coal, is now one of the highest viewpoints of the region with fantastic views in all directions. Climbing is possible from the Buchholzer Damm car park in Ibbenbüren-Dickenberg. Nostalgic amusement park with original wooden bobsleds! There is a fairytale forest, various attractions, a playground and picnic areas scattered around the park. 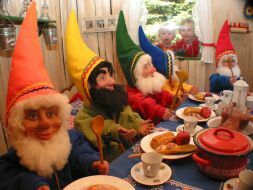 For children up to 8 years. Near the cliffs Dörenther Klippen. Wonderful hiking opportunities. 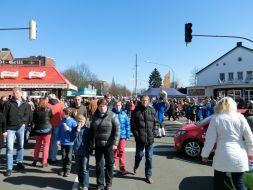 Address: Münsterstraße 265, 49479 Ibbenbüren. Large area full of ponds, ornamental gardens and an underwater park - unique in Germany! Always wanted to dive to a shipwreck or a cave? You can do it here! Enjoy a drink in the exotic palm hall or the cozy Café Seerose. Very suitable for groups. Climbing in centuries-old forest? 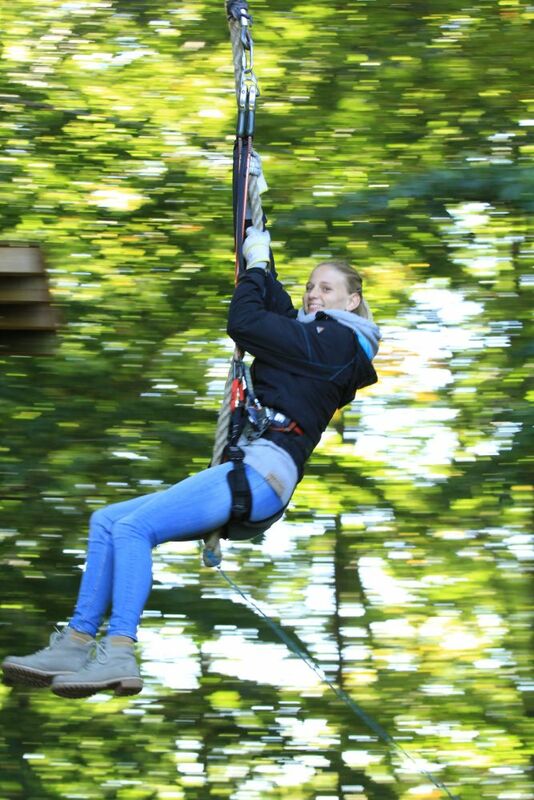 That is possible in the beautiful site of the Kletterwald Ibbenbüren. There are various routes up to 14 meters high, all kinds of climbing elements and a real Tarzan jump in a net - for those who dare! There are always supervisors present and catering is also provided. 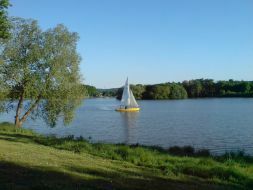 The Aasee is a popular lake in Ibbenbüren. Here you can walk or cycle around. Furthermore there is a beautiful beach with a nice water playground. For even more water fun there is the large Aaseebad swimming pool including an olympic outdoor pool, indoor pools and waterslides. Farm café and shop from local production. 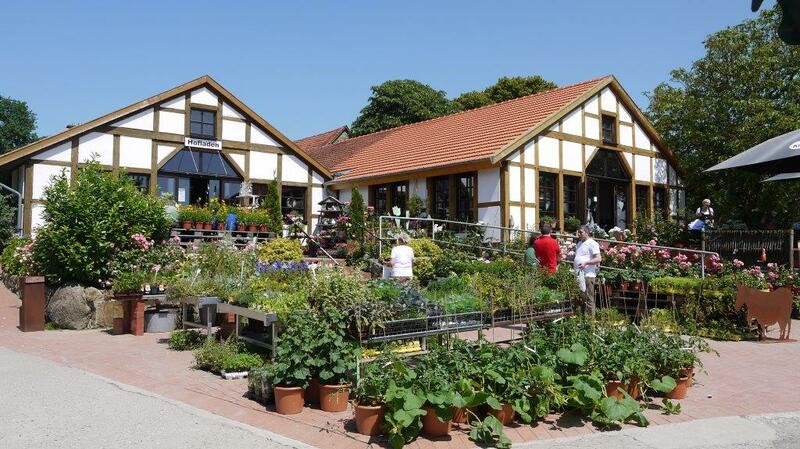 Beautiful gardens with cozy terrace and a beautiful view of the forrest Teutoburg Wald and Ibbenbüren. Large playground for children (only for an entrance fee). 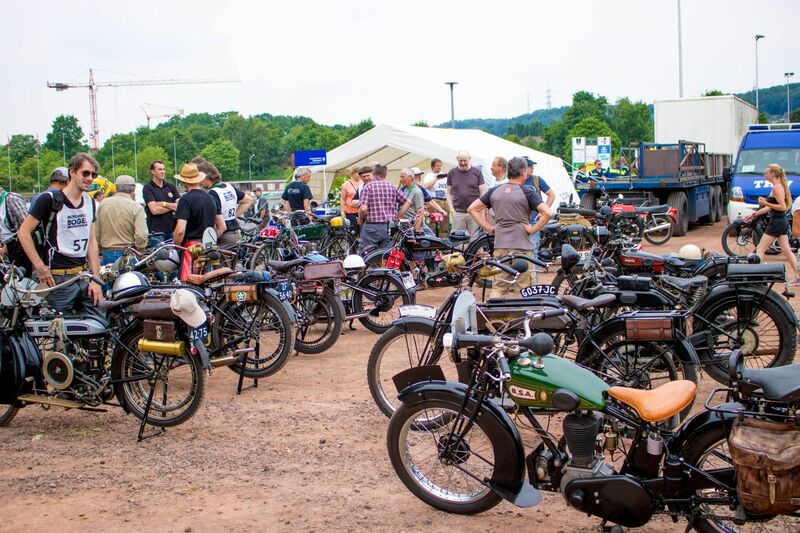 A perfect place for lovers of historic motorbikes. 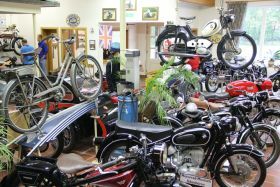 More than 180 objects with stories about the development of the motorcycle and motorcycling. Ibbenbüren offers a fine mix of a vibrant city life, rural flair and real nature. In our atmospheric inner city full of narrow streets you will find historic half-timbered houses and houses of the famous Ibbenbüren sandstone - as if you walk through an old fairy tale book! Take your time, stroll around comfortably and discover our extensive range of shops. 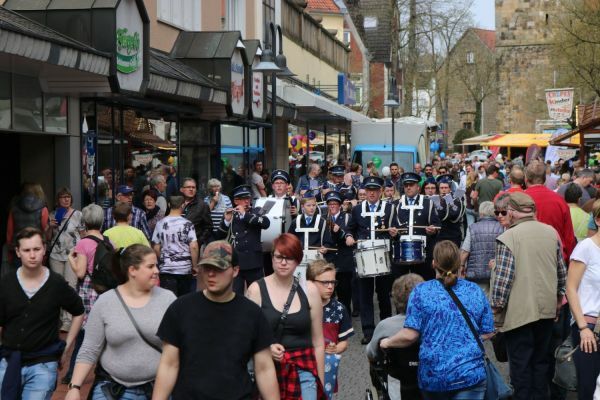 Every year there are four special open Sundays (normally on Sundays shops stay closed in Germany) - the city shops are open, there is live music and it is always tied to a special event. It's the weekend for fashion, people and motorcycles. 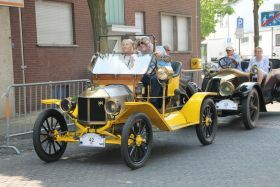 There is a car exhibition, a motorcycle mile, a vintage car exhibition and the information booths with many tips and tricks all around the city. Cycling tour (Tecklenburg-Rundfahrt) of the Dutch sports club CC 75 Nijverdal. 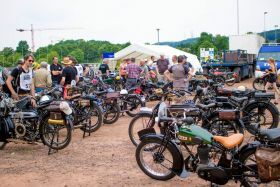 An international meeting for all vintage motorcycle lovers with a big rally of historic motorcycles. 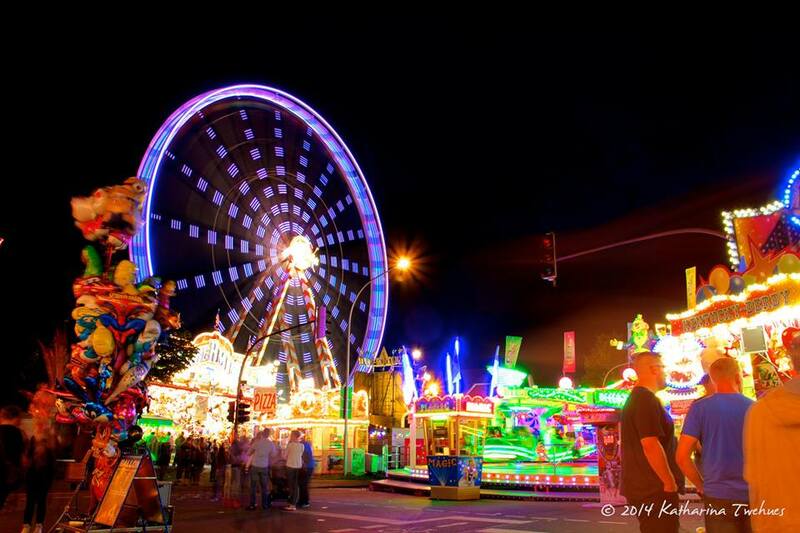 A big funfair in the city center with more than 250 attractions. Our autumn festival "Tolle Knolle" is all about the potato. 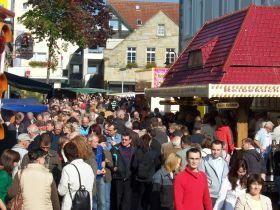 There will be live acts, a market with rural offers, exhibitions and a lot of great food. The online booking system of Münsterland (OBIS) provides you an option to book your accommodation directly online. Another option is to book your stay over the phone through the tourist information office of Ibbenbüren, tel: 0049-5451-5454540. 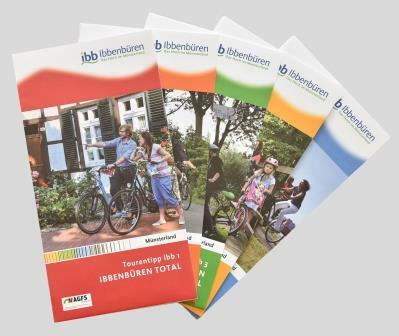 In our guide the Gästejournal Ibbenbüren you will find information and contact details of all accommodations (hotels, guesthouses, campsites and holiday homes). 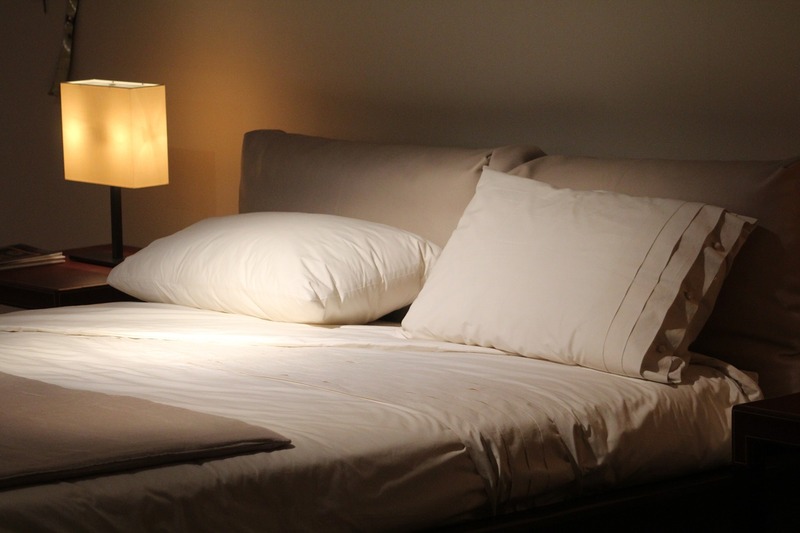 So you quickly find the place that suits your needs. The Gästejournal is also full of great tips for trips and activities.